"Working with Kay was fantastic! She did such a great job, I looked and felt beautiful! Kay was nothing but professional during our trial and the wedding. I would recommend her to anyone looking for a make up artist!" "Kay was referred to me by a friend who swore by her talent. I was not disappointed. Kay's portfolio was extensive and she was open to personalizing my make-up as I had envisioned. The quality of make-up was flawless, long lasting (over 10 hours the big day!!) and felt very natural. I have had make-up done for a number of friend's weddings and Kay's work was by far the most satisfying in terms of final result and overall experience. I learned on my big day just how important it is to have people with a calm and comforting presence working with you and everyone in your wedding is freaking out. Beyond her actual talent, Kay was respectful, friendly, lighthearted, caring and authentic. I have and continue to recommend her to everyone I know!" "Kay was a big part of making my wedding go from wonderful to beyond fantastic! She does amazing makeup and is truly the best to work with! She created just the look I wanted for my wedding and did such a great job with the whole bridal party! Thank you Kay Kay!! Such a great artist!" "Had a great experience having my make-up done by Kay. She put me at ease and did a beautiful job." "Kay is amazing!!! She has done my daughter's make-up for multiple events and everyone who sees her work is in awe! She takes time first to ask what look you want, what you're wearing, and respects the client's wishes while also offering perfect suggestions! She has never rushed through a session; she takes her time to achieve model-type perfection for her clients. As she works she continues to openly communicate with the client to be sure they are happy with the look she is creating. When finished, Kay always confirms the client is happy and does so in an open way that allows the client to say "let's do more of this" or "let's tone this part down a little". 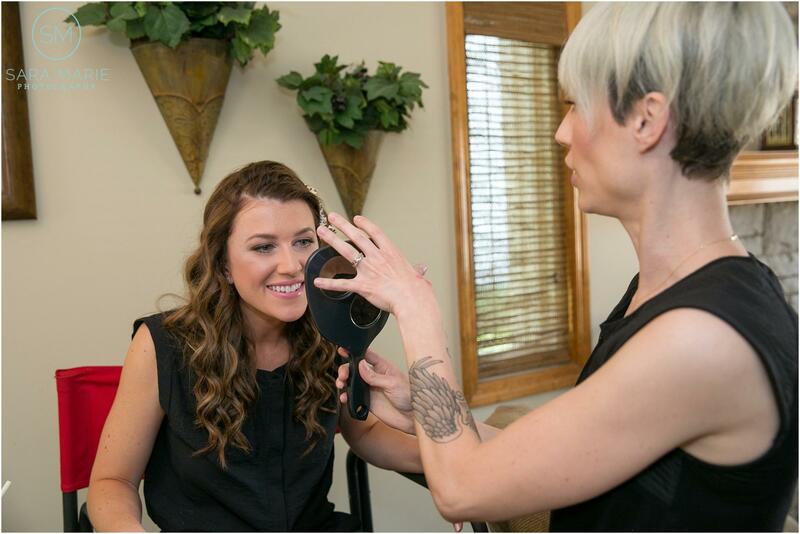 Kay works time efficiently and effectively while still making her client feel extra special. I book Kay well in advance of events just to ensure we get on her calendar. I give Kay my highest recommendation!"